With it’s deliberate misspelling, it reflects man’s handling of the environment. 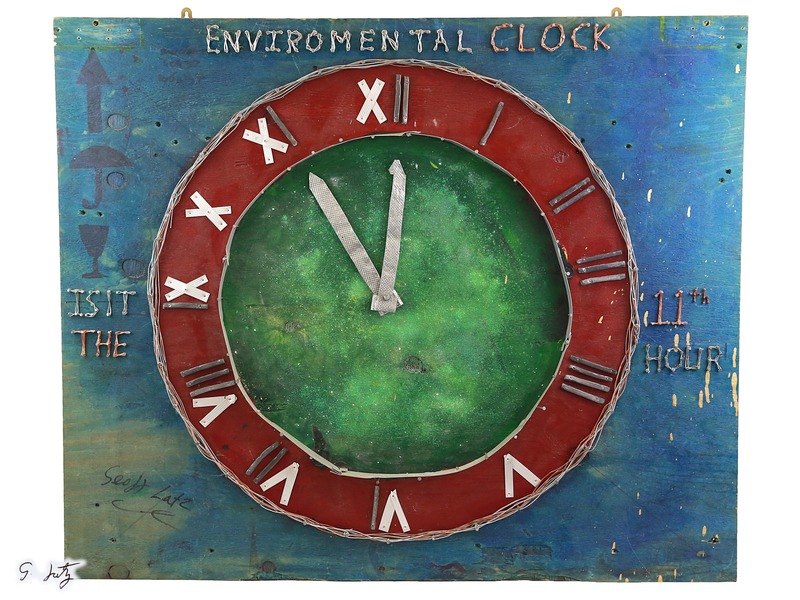 Are we at the 11th hour with regards to the environment and is time running out? Painted in inks, waxed, metal alloy, wire, lead numbers.